Sonam Kapoor and Bipasha Basu sizzle the ramp at the IIJW 2014 grand finale. 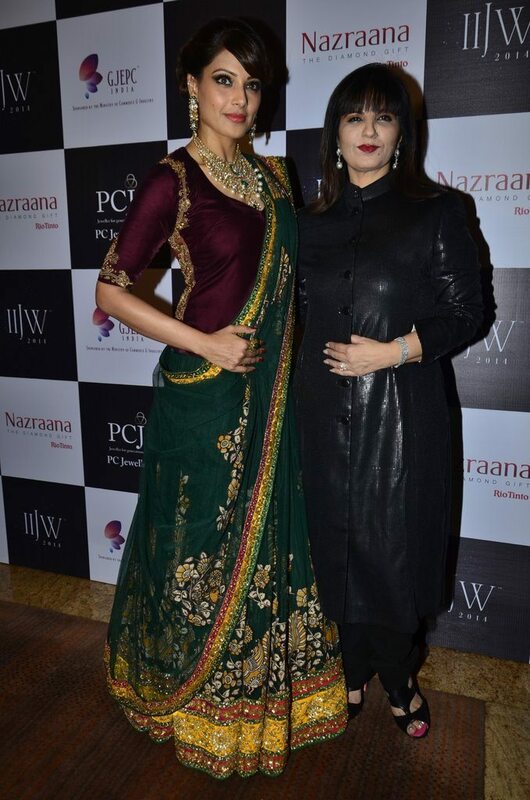 Bollywood’s beauties – Sonam Kapoor and Bipasha Basu – walked down the ramp at the grand finale of the India International Jewellery Week (IIJW) 2014, held at the Grand Hyatt in Mumbai on July 17, 2014. 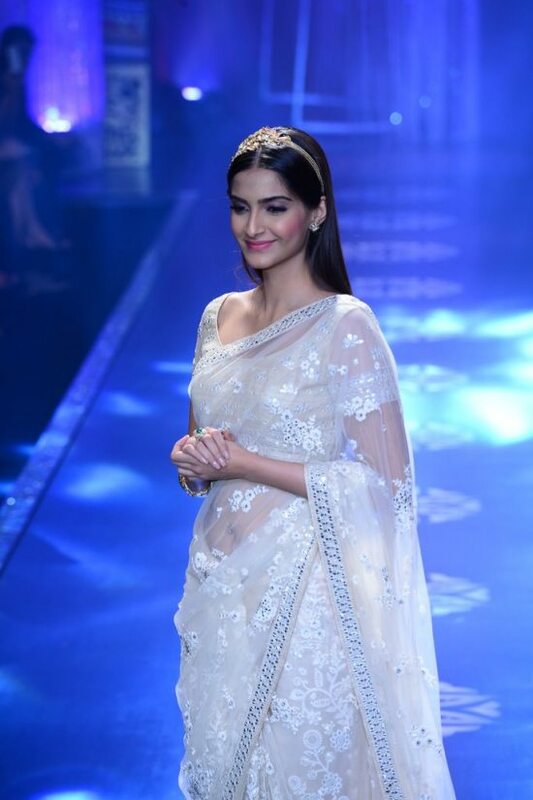 Sonam walked for designer Neeta Lulla as she showcased the Autumn Winter Bridal collection. 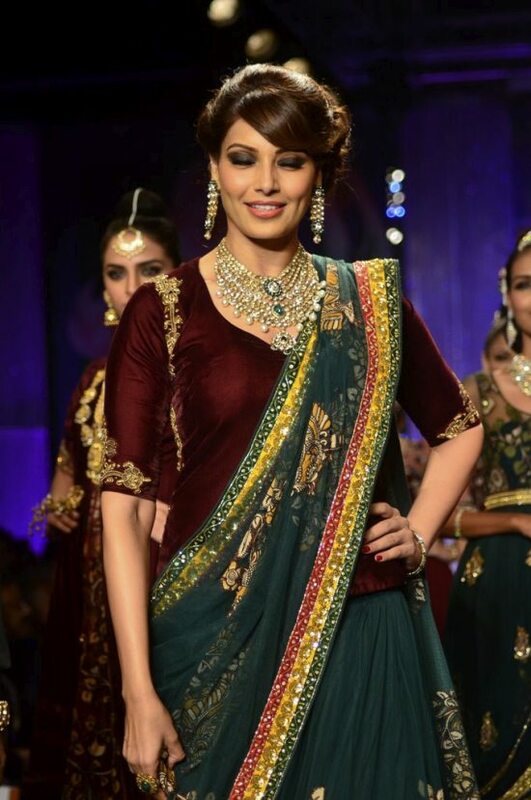 Bipasha too sizzled in a Neeta Lulla creation and walked the ramp for PC Jewellers at the finale. The ‘Mausam’ actress bedazzled onlookers in a net sari paired with a golden headband. 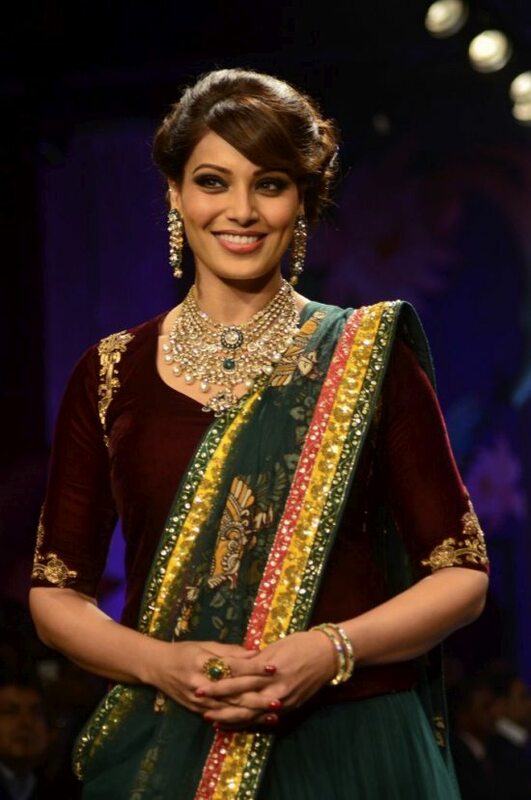 Bipasha looked stunning in a green and maroon lehenga. 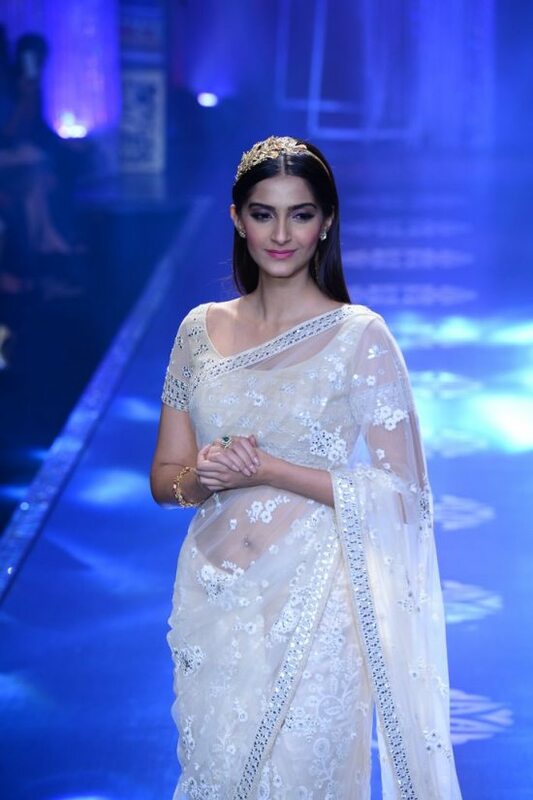 The multi-layered neckpiece paired with matching earrings, adorned the bong beauty’s perfect figure.